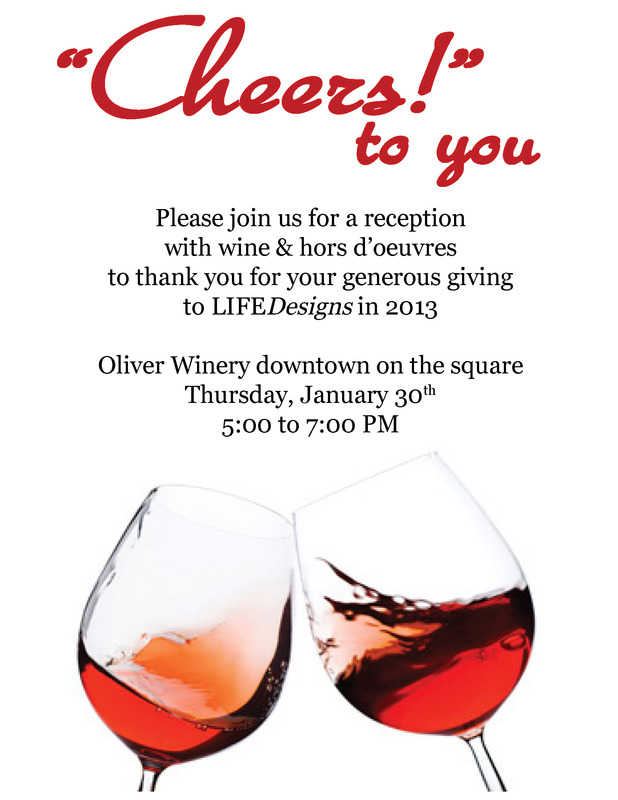 LIFEDesigns‘ 2014 Donor Reception is this Thursday, January 30th 5pm to 7pm at Oliver Winery’s downtown Bloomington location on the square. Have you donated to LIFEDesigns in 2013? 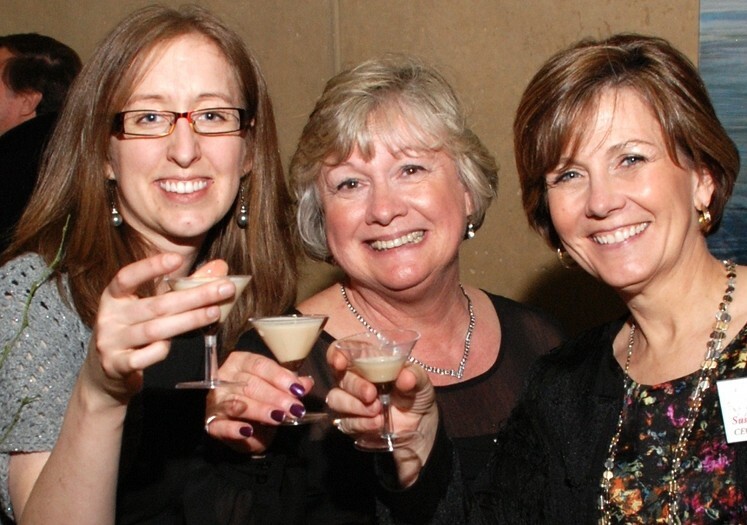 Did you attend the Art of Chocolate? If so, we want to celebrate the work your donations accomplished this past year. Come mingle with other supporters of LIFEDesigns and enjoy hors d’oeuvres and wine courtesy of Oliver Winery and LIFEDesigns. You will learn about what your generous contributions made possible in the lives of the people with disabilities LIFEDesigns serves. Thank you for giving and please join us this Thursday, January 30th from 5:00pm to 7:00pm for our 2014 Donor Reception.